The question looks like something complex, and, well, it really is. The perfect answer depends on several factors: your boyfriend’s hobbies/interests/preferences, how long does your relationship last, etcetera, etcetera. But don’t worry, we know the right answer! 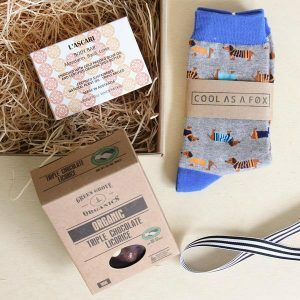 Here you’ll find 13 top gift ideas for your boyfriend — of course, some of them would suit 99% of the boyfriends and the others would be great for 1% of them, but all these gifts have one thing in common: they are cool. We begin with a messenger bag. It’s one of those gifts that would work well in all the cases — it doesn’t even need to be Christmas, frankly. The majority of men need messenger bags (even if they don’t understand it yet) — it’s a very comfortable and cool way to bring all the stuff with you. Like laptop and all that. The bag we’ve chosen is a true masterpiece. 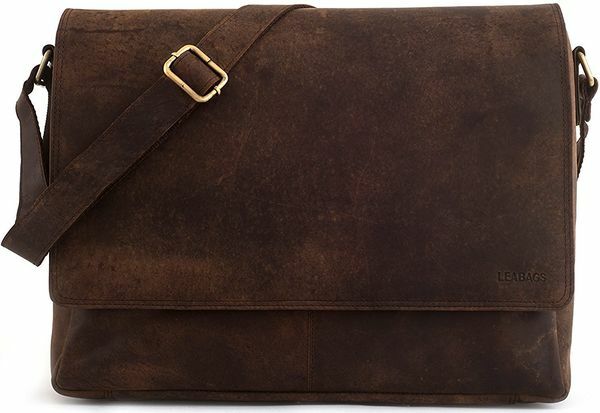 It’s made of a high quality buffalo leather, it’s a very resistant and durable product and it looks amazing! However, it wouldn’t suit well if your boyfriend prefers sport or too casual style — it’s a classic bag and it would complete your bf’s classic look perfectly. Another good news: you won’t need to spend more than $100 on it. Taking the quality and the design into account… Amazing deal. There are literally hundreds of different watch models. It means that, well, in order to make the right choice you’ll have to spend days! Wooden or metal? Pocket or wrist? Mechanical or quartz watch movement? Smart or traditional? Casio, Seiko, G-Shock or Apple? Geez, so many questions! But there is always a perfect choice for everyone. 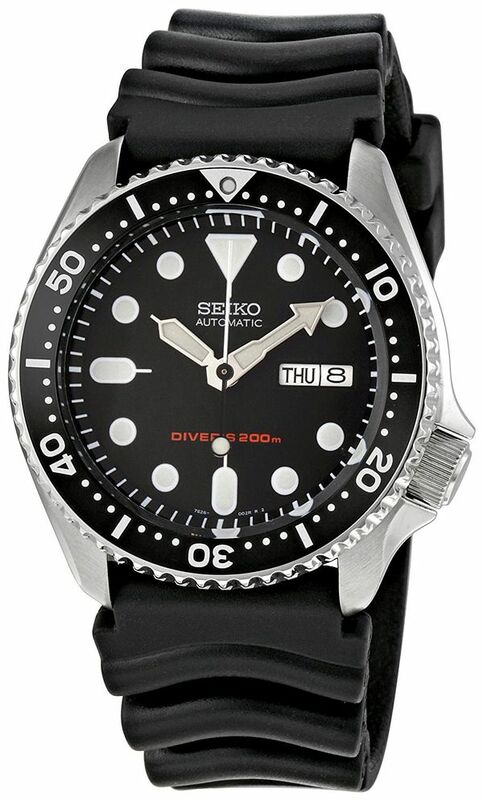 We are talking about the Seiko’s SKX007K — classic Japanese watch, premium Seiko quality, tough, looks great and not so expensive. More than 100 positive reviews — sounds good, right? Check it out. There are two types of men who don’t really need this gift: the professional astronomers and those who are not interested in space at all. If your bf is somewhere between these two categories of people, congratulations — you’ve just found a great unique gift for him! Why is it unique? 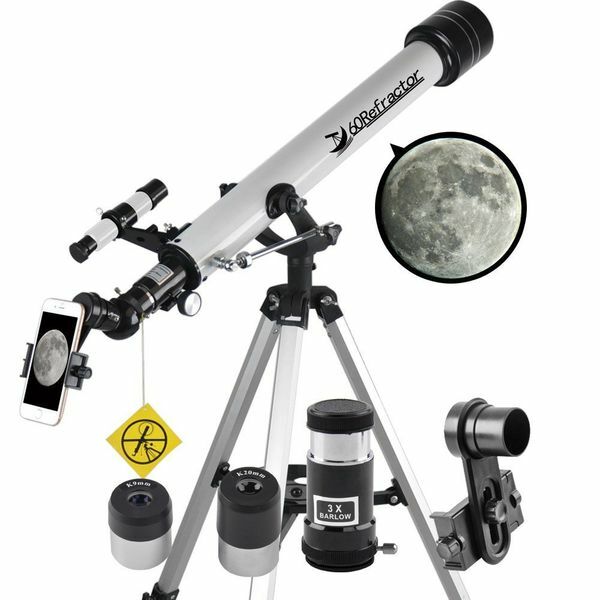 Because, um, how many of your acquaintances and friends have telescopes in their bedrooms? We bet the answer is “no one” or something like that. That’s what we call “a unique gift”. We have the best beginner telescope here — Landove 60mm model. The optics are great (covered with multilayer green glass), the tripod is included, smartphone adapter is here, too, and the quality of this model is very high (according to the feedbacks). Check it out. Pullover is soft and warm — isn’t it exactly the thing your boyfriend needs for Christmas? We believe that it is. If you agree with us, take a look at this great pullover from Leif Nelson. It’s made of acrylic and wool (93% and 7% respectively), it’s really stylish (you can choose among 6 cool colors), it’s combinable with the absolute majority of jeans and jackets and it’s very warm and soft. 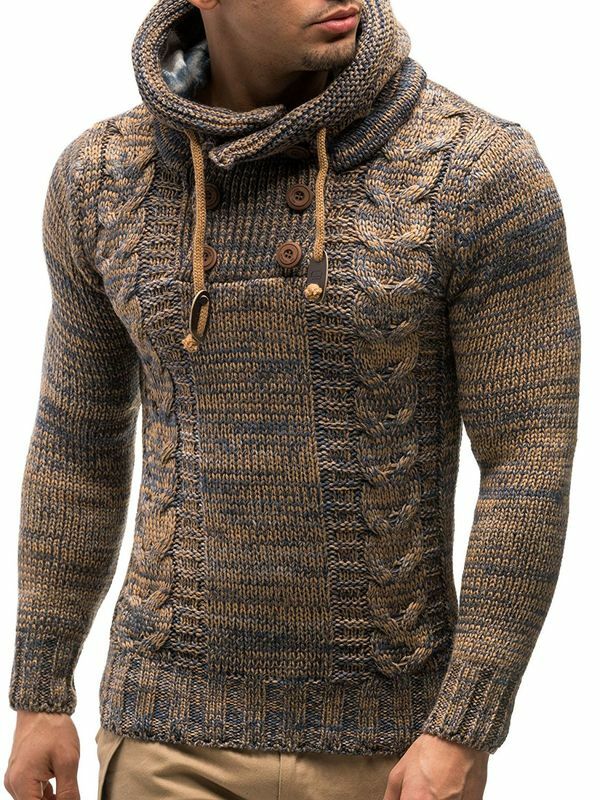 Perfect choice for cold winters. Does your boyfriend have a beard? If the answer is “yes”, we’ve chosen something really cool for him. It’s a shaving kit. They are usually not so expensive yet useful — with all those blades, razors, brushes and soap in the box, your boyfriend will be able to make his beard as beautiful as he wishes. 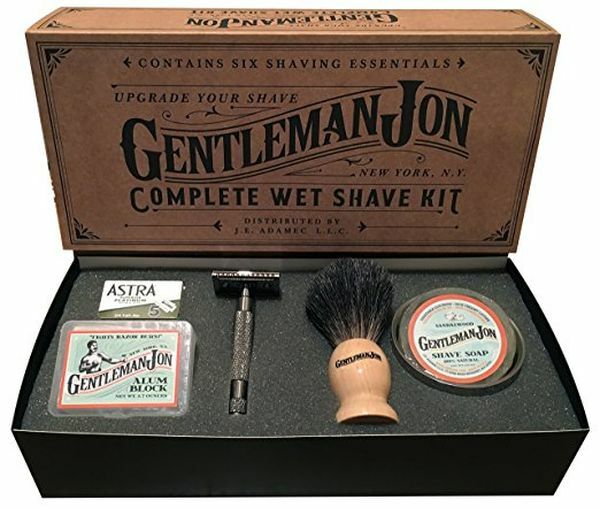 We’ve found a cool Gentleman Jon set, that consists of a safety razor with 5 blades, a brush made of black badger hair, an alum block, a sandalwood soap (smells great!) and a steel shave bowl. That’s basically everything a guy with a beard needs. Alright, let’s make it clear: we don’t like when people drink alcohol, too. But that’s still not a reason to miss such a cool gift. 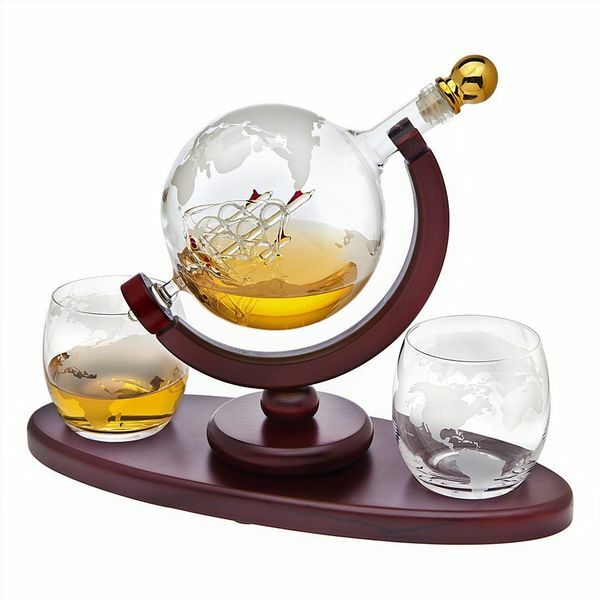 The globe decanter will look awesome on his desk. However, it’s not the main reason why you should take a look at such decanters — the thing is, if your bf loves a good whiskey, bourbon or liquor, he will be really glad because of such a gift. It’s not about alcohol only, of course — iced tea, juice or just water would look great in a globe decanter, too! The decanter by Godinger isn’t too expensive yet it looks like a true masterpiece. Nothing to say here, just take a look — it’s beautiful, it has 2 whisky glasses included in the set, and it’s definitely a good gift. Smartphones are quite expensive, but they are perfect gifts for everyone. If you are looking for a top-tier gift, we highly recommend to think about a brand new phone for him — this is a gift idea that would work well for the absolute majority of men. 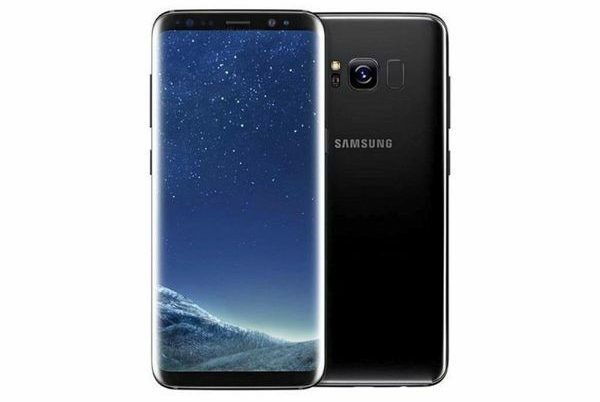 If you don’t know anything about all those processor cores, screen resolution, RAM and ROM, IP68 and camera lenses, you can trust us to choose — and we’ve chosen the best value for money phone on the market. It’s Samsung Galaxy S8 — not as powerful as the latest model, S9/S9+, but still extremely good. 8 cores processor, 4Gb of RAM, and amazing camera (he’ll be able to take the pictures of you in even better quality!). It’s not as expensive as the latest iPhone and Samsung smartphones, but it looks amazing. Take a look and you’ll get it. 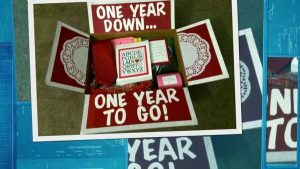 We are sure that when you are choosing a gift for your fiance, it’s time to think wider. The gift we’ve chosen for you here is a perfect choice for all families — well, except those anti-coffee evangelists. If you are one of them, it makes sense that it’s definitely not for you. 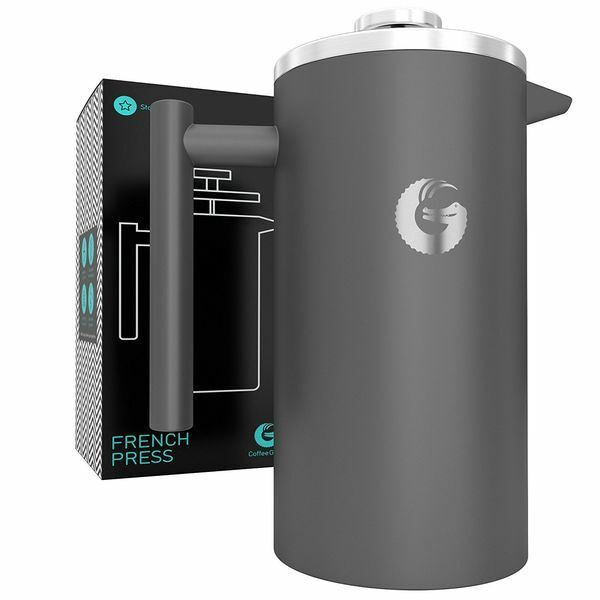 We are talking about a Coffee Gator french press coffee maker — and it’s really better than all the other options available. It’s made of stainless steel instead of glass — and this thick, double-filtered material keeps the coffee hot much longer than glass. The design of this coffee maker is quite cool, too, and it’s not too expensive — looks like a perfect investment in the future mornings, right? Even if your boyfriend isn’t a pro gamer, we bet he still likes playing PC games. In this case, we highly recommend to make him a cool surprise and buy a gaming PC mouse — and if the PC accessories aren’t really your thing, we’ve chosen a cool and cheap option. It’s a mouse, made by Abedi — this company is not as reputable and popular as Razer or Logitech, of course, but they are still good. 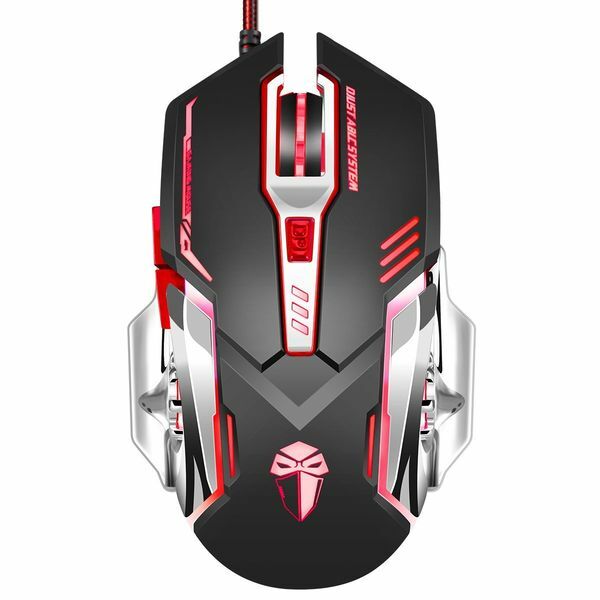 This mouse costs less than $15 so it’s a perfect cheap gift, it has good characteristics (1200-3200DPI, ergonomic design, etc. ), it looks exactly how a gaming mouse should look and your boyfriend will love this gift. We are sure he will. What is the ideal first Christmas gift for your bf? Well, it mustn’t be something too serious or too expensive — but of course, a $5 gift wouldn’t work well, too. A useful gift would be perfect. That’s why it’s high time for backpacks! 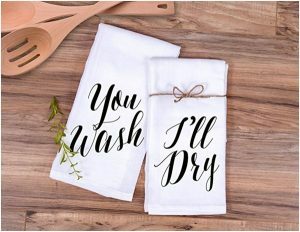 They are useful, they are not too expensive (well, the majority of them) and men love them (again, the majority of them). We’ve chosen something really cool. It’s a brown vintage leather backpack. 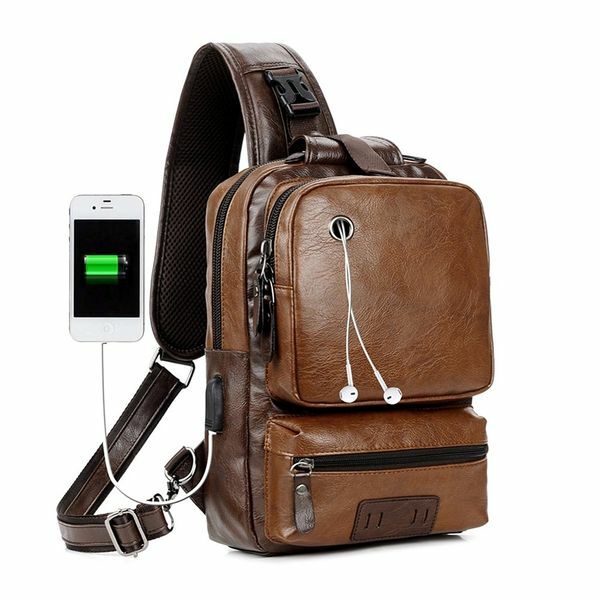 This kind of backpacks are very good for classic outfits, they look much more interesting than the traditional polyester. This one is perfect for a laptop (and smaller devices), it comes with a charging port and an earphone jack. Fashionable, stylish, not too expensive. Perfect choice! The best thing you could do to your new boyfriend is to express your care. If it’s Christmas and it’s cold outside, what is the best way to express your care? We offer to check this winter boots out — made from leather and textile, winter-ready, warm and with a quite fine design. 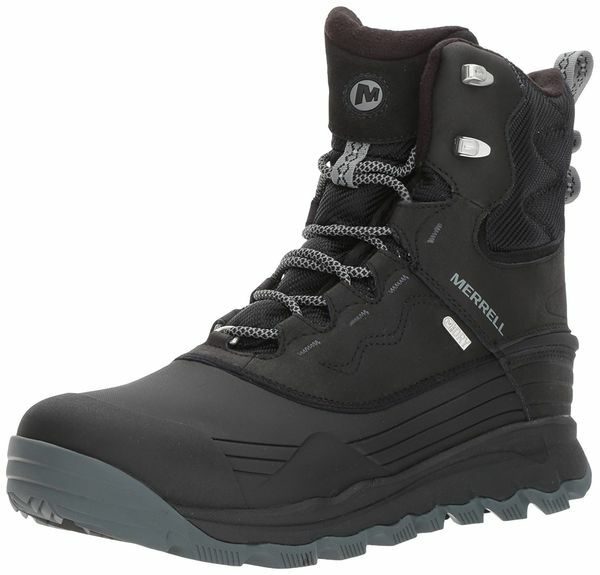 If your bf is about snowboarding or skiing, these boots would work well, too. That’s basically the best thing you can buy to show that you take care of your boyfriend. Chocolate baskets — awesome holiday gifts for boyfriend! Have you heard that boys don’t have a sweet tooth? Forget about it, that’s a myth. The truth is: boys and men love chocolate as much as women, there aren’t any gender differences related to this product. Backed by science! We recommend to pay attention to the chocolate gift boxes. 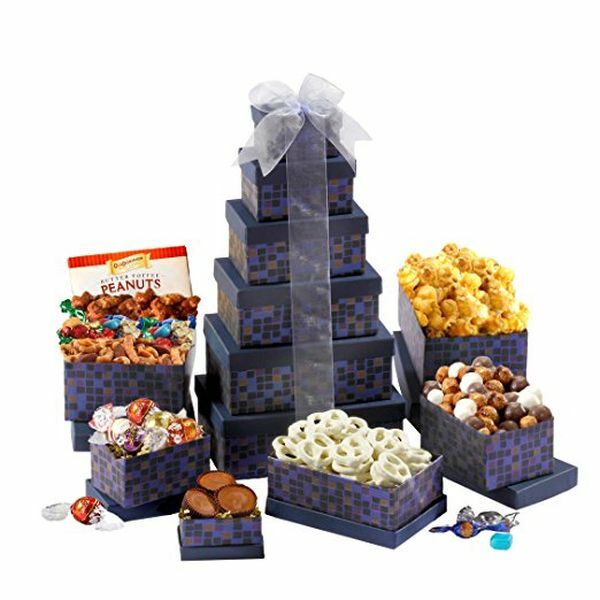 Like the one we’ve chosen for you: it contains Belgian chocolate, chocolate peanuts, caramel, cranberry cookies, wafer rolls, sea salt caramels, truffles, bars, crisp… Just take a look and you’ll understand that your boyfriend will love this gift. But don’t eat it before Christmas! When someone says “meaningful gift” he or she most likely means something like “a gift with an engravement”. Forget about this. If you want your boyfriend to understand that you want to live with him, what about a pajama set? Such gifts make every man start thinking about it, that’s not a secret. 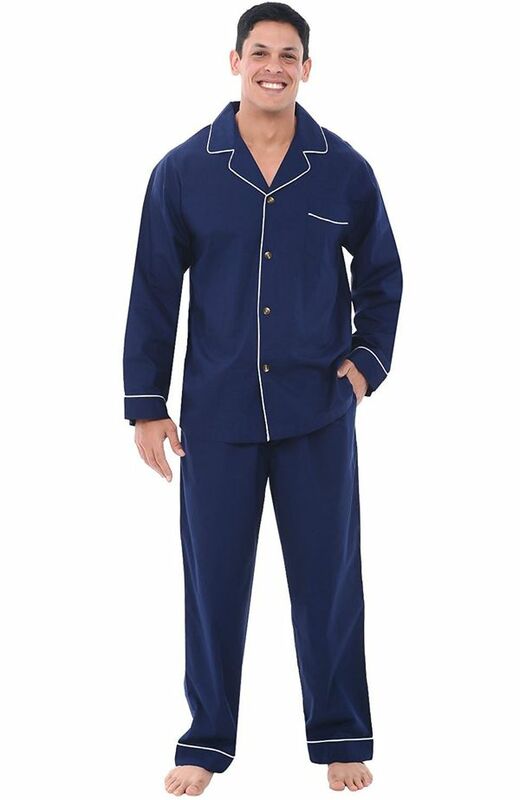 Or, well, if you already live together, a pajama set would be a great gift without any pressure and hidden hints. Just a pajama, that’s all. Like this one. It’s a set by Alexander Del Rossa which means the quality is not even a question. The price is very reasonable, the quality is high, the color is beautiful (but you still can choose among 10 different colors) and the hint is obvious. Do you like it?